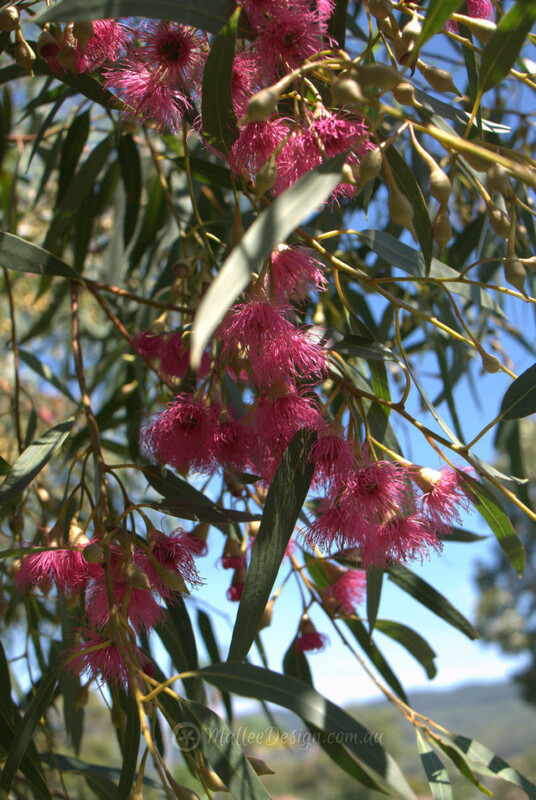 Happy National Eucalypt Day everyone! I really hope you were able to appreciate a Eucalpytus tree today at the very least, or possibly able to plant one? ― Traditional Chinese proverbs, one of my favourite quotes. I am going to talk about one of my favourite small Eucalyptus trees that are perfect for planting in the garden where there are height restrictions. This is Eucalyptus leucoxylon ‘Euky Dwarf’, a small tree growing to approximately 7 metres high. The tree in these images has been in the ground for about 4 years and is about 5 metres tall. It is planted in a heavy clay soil in part shade where the coastal winds come ripping through year round, hence the remaining stakes. It is also frost tolerant. This beautiful small weeping tree forms a soft canopy that is good for screening and the prolific flowers attract many different bird and bee species. ‘Euky Dawrf’ also grows well in full sun and sandy loam soils, and can cope with temporary inundation around its root zone, it develops a mottled peeling bark of varying colours which is also very showy and adds to its feature tree capacity. ‘Euky Dwarf’ also looks great planted in a copse or group where the decorative bark can be quite dramatic en mass. This pretty little tree is a great street tree which just fits under power lines and is not a problem branch dropper and as it is not grafted there is no problem of it growing into a giant if the graft fails. I can’t recommend it highly enough!